In the beginning of the 1920s, many of the soldiers returning from World War I bought automobiles. People started to see that having a car would make traveling much easier. Soon almost every American family had a car. Ford cars, such as the Ford Model T, were popular because they were cheap and reliable. 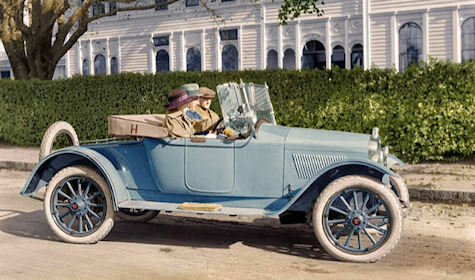 These 27 colorized photos give us a nostalgia glimpse into American life of the 1910s and '20.